Compression sleeves for runners hit the market several years ago, after having been marketed in the medical products industry for years. Watch any marathon, and you will see plenty of sleeves being worn. While many runners and other athletes swear by their benefits, others suggest that you need to be careful and know what you are getting into with compression sleeves. Here is our balanced review. You have probably seen compression sleeves before as many people who run marathons or races wear them. They basically resemble a footless compression sock, covering only the calf and shin. Maybe when you saw you the compression sleeves, you were curious what benefit they provide. Those who swear by them will say it is basically like getting a post-workout massage on your calf and shin — helping recovery and performance. It is important to know how compression sleeves work and if they are appropriate to use for your particular activity. Below, the mechanism of compression and its benefits have been explained so that you can make good decisions the next time you go out shopping for compression sleeves. To understand the mechanism of compression gear and sleeves (specifically), it is important to understand how blood flows through the body. The heart pumps oxygen-containing blood to our entire body and muscles through the arteries after the cells have made use of the oxygen and other nutrients from the blood, the deoxygenated blood, lactic acid and other waste go into the veins and then they are absorbed back into the heart. After the blood returns to the heart, it is oxygenated from the lungs, and the entire procedure then repeats itself. 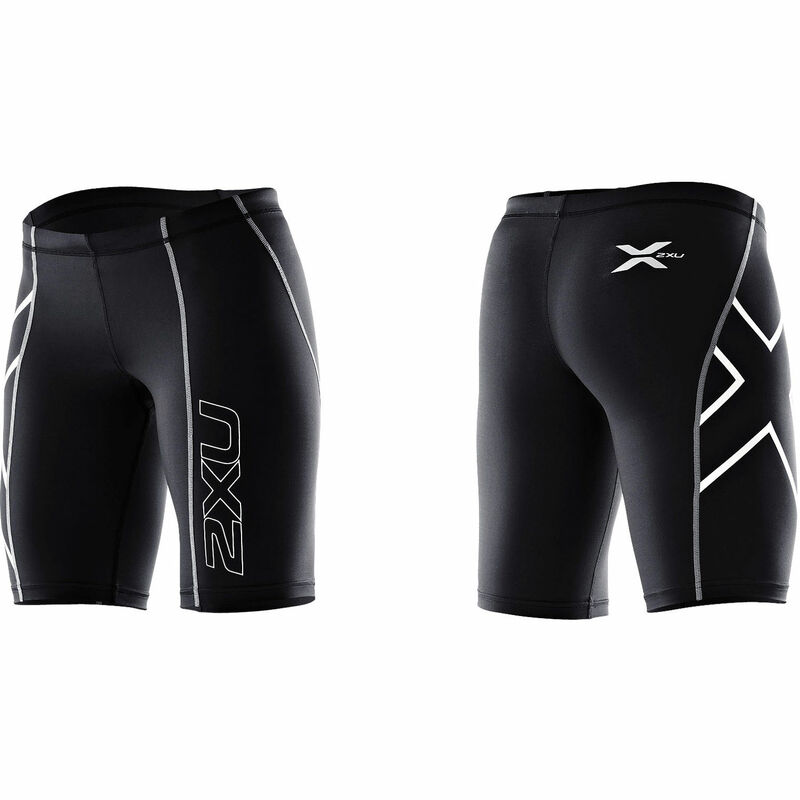 2XU’s five size options make it more likely that you will find a perfect fit. One of the most crucial things to maintain one’s performance is keeping oxygenated blood flowing to muscles. When exercising, the body makes lactic acid as a waste product. If this lactic acid is not taken out of the muscles, it can contribute to soreness, and it can lessen one’s performance. Another contributing cause to decreased performance is muscle fatigue, which is caused by muscular vibration during physical exertion. Over time, these tiny muscular vibrations build up and cause the fatigue. Compression socks and sleeves give the muscles a slow build up of compression, meaning the compression is greater at the foot and ankle and less as it comes up the calf and lower leg. This kind of compression helps to fight the effects of gravity and helps the body in returning deoxygenated blood to the heart. Recent studies have found improved “time to exhaustion” and that with a higher level of consistent compression, the walls of the arteries will dilate and this will increase the blood flow through them. Arterial blood flow has been found to increase up to 40% during activity and 30% during recovery, and this means that more oxygen and nutrients is flowing through the body. However, the walls of the veins will constrict under compression, which helps to increase the speed of blood flow through them. Increased speed of blood flow through the veins means that deoxygenated blood and lactic acid will get back to the heart faster and this will help to increase the rate of recovery and decrease muscle soreness. 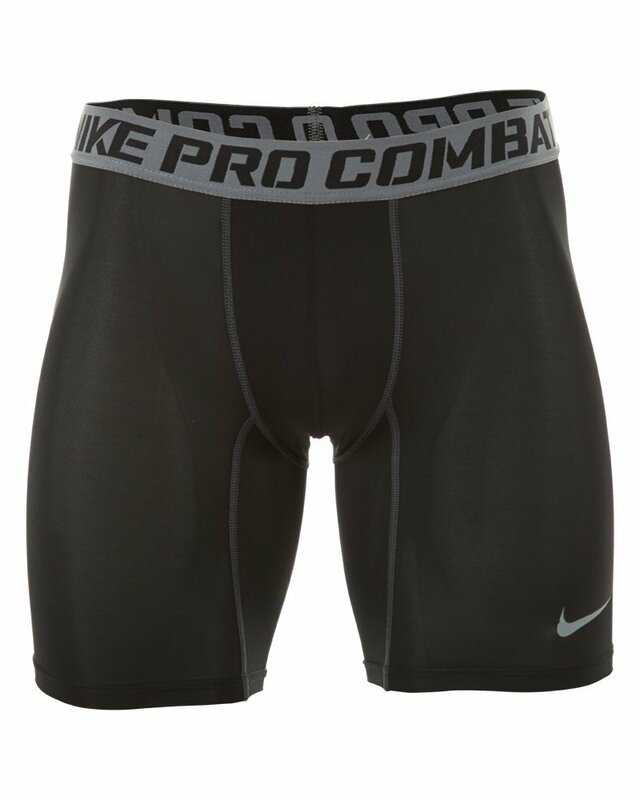 Compression will also help stabilize the muscle and decrease the amount of muscular vibration, resulting in less fatigue. With the use of compression sleeves, athletes will experience increased blood flow, and this can improve their performance. Another major benefit of compression sleeves is that they provide quicker recovery for the muscles, decreased soreness and much less fatigue. Hence, your muscles will be supported to a great extent. Compression sleeves have been found to be good for shin splints, calf cramps and strains, and Achilles tendonitis as well. Whether you are attempting to relieve the signs of shin splints or calf pain, or you want to get an advantage on the competition through faster recovery, compression sleeves can be considered along with compression socks as a partial solution to your problem. Zensah sleeves place a premium on comfort. Fit. Make sure that you measure your calves for proper sizing as you need to ensure that the sleeves will fit you perfectly. If the compression sleeves are too tight, they will be uncomfortable and impossible to put on. If they are too loose, they won’t provide enough compression, and they would slide down your leg. Material. Look for compression sleeves that have been made of fabric that would get free of sweat by taking it away from your skin, shifting it to the outer part of the fabric and vaporizing it as this will allow you to feel cool and sweat-free. Construction. Compression sleeves which have been made using a seamless construction are by far the best out there. This technique involves knitting 3-dimensional textures into the fabric without creating seams. 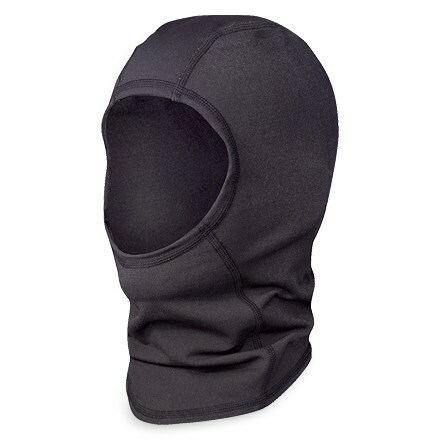 This enables products to feature mesh panels for breathability and ribbing for targeted support. Color: Less of a factor than the others, but make sure the color is a fit with your intended use. For example, don’t buy white if your sleeves bound to get dirty. 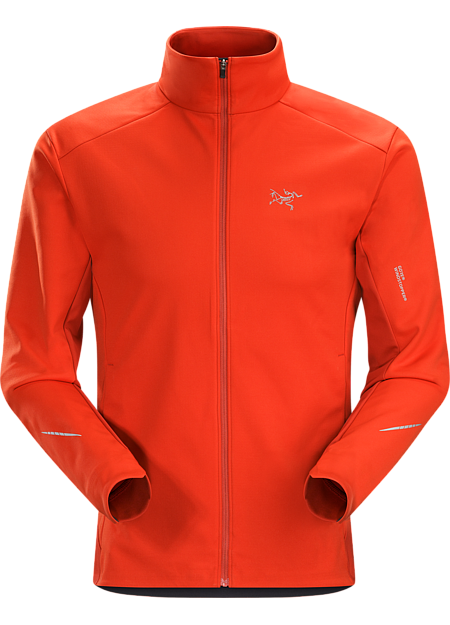 If using for running, we sometimes like a bright color as it adds to low-light safety outside. CEP is a trusted name that came from the medical compression industry. 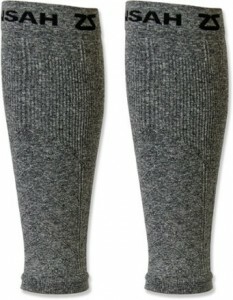 Zensah Compression Leg Sleeves – $40, Here. These compression sleeves help provide runners and athletes with calf support, shin splint relief and decreased leg fatigue. Athletes of all levels make use of these sleeves (from Olympians to amateur runners) and their moisture wicking, anti-odor properties have made them a popular pick in the past. Varied ribbing throughout the shin and calf helps Zensah give you just the right fit, and make sure the sleeves stay snug. 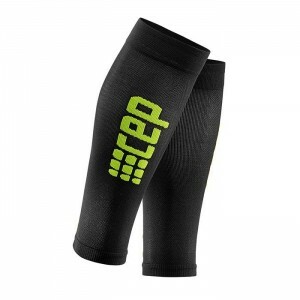 CEP Progressive Ultralight Calf Sleeves – Find here on Amazon. 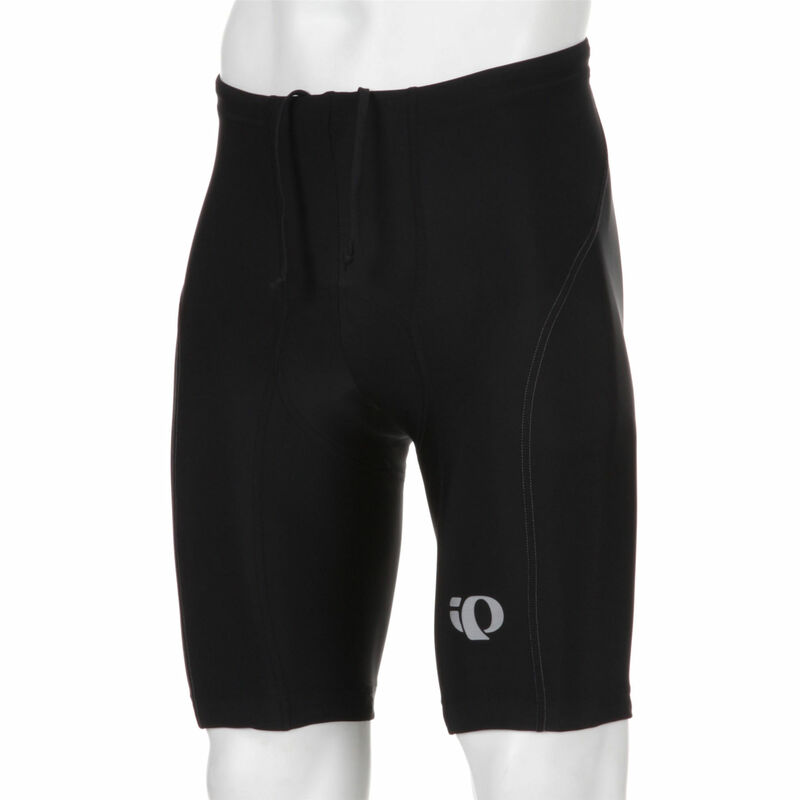 Ranging from 18 to 30 mmHg, these are firm, some would say tight, sleeves that will provide plenty of compression. 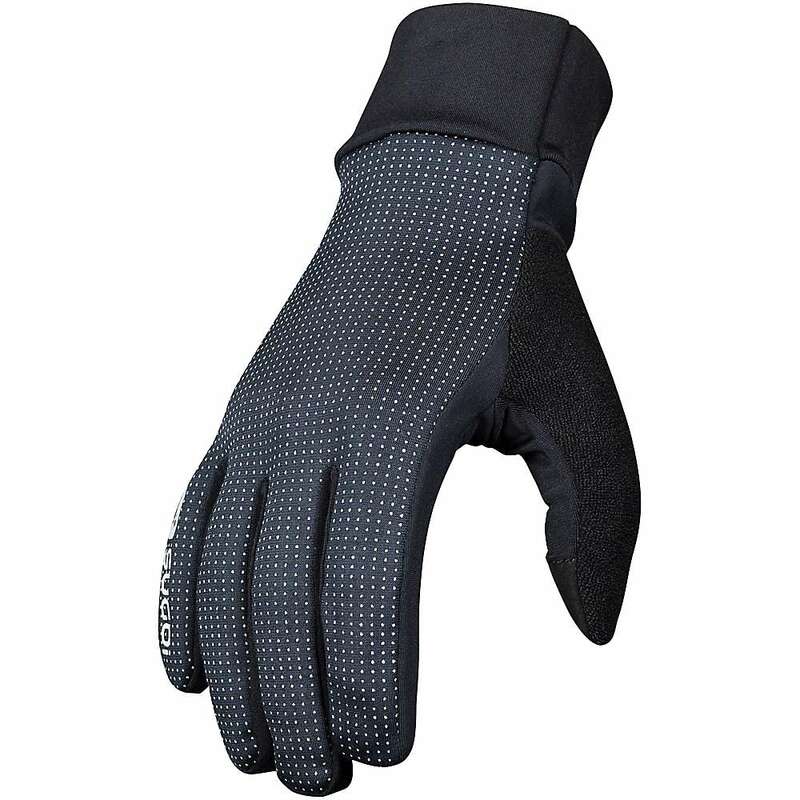 If that what you need, you will like the feel of the CEP ultralight. The compression sleeves are made of monofilament fibers and have air channels, which help take away moisture from the skin and function to keep your lower legs cozy while you workout. Runners who battle shin splints tend to like these sleeves. 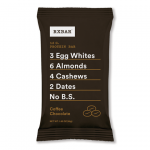 If that is your ailment, you may want to go with these. 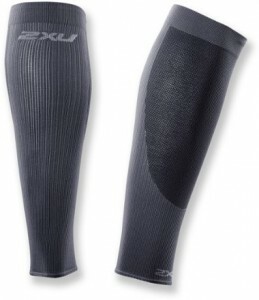 2XU Perf Run Sleeves – $40, Here. 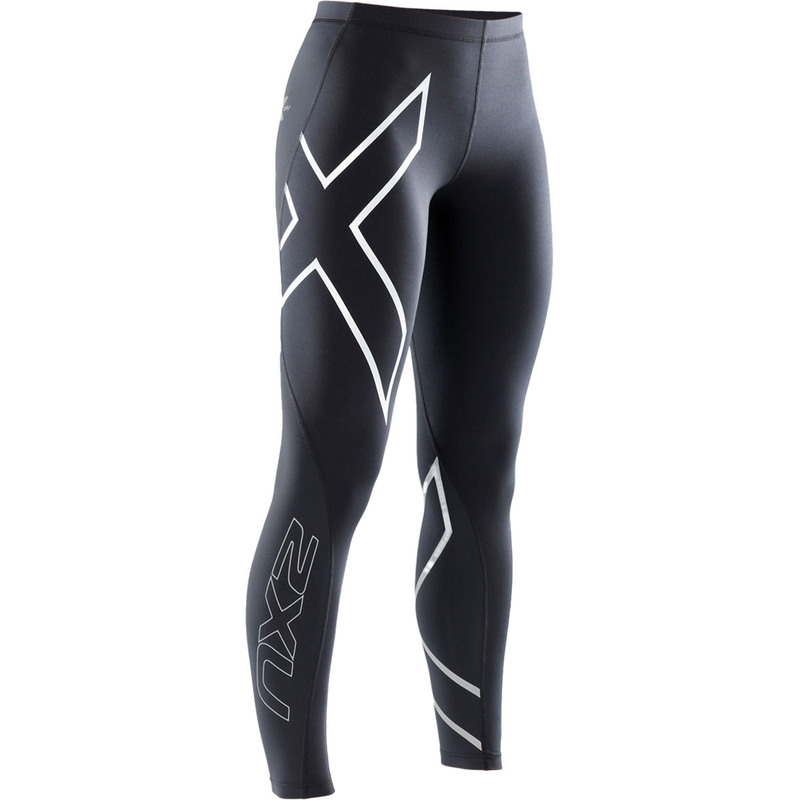 2XU has been one of our favorite makers of compression wear for a long time, and the Perf run sleeves offer firm pressure in a highly breathable way. The fit of 2XU compression wear is always effective and balanced, and these sleeves do a nice job of keeping everything in place but in a way that is comfortable. Excellent for active use, not just recovery use. We like that they are available in five sizes (XS thru XL), as some brands only come in three or four. 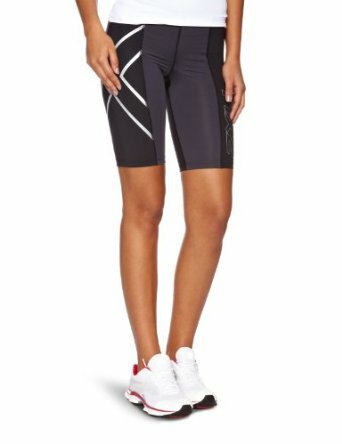 If you are worried that your sizing will be a little tricky, lean toward the 2XU as they will give you the broadest size option choices. They are marketed as mens and womens, but really they can be considered unisex and interchanged as needed. While many in the running, cycling and fitness worlds love what compression sleeves provide, there is a school of thought that they can be risky. Specifically, because the sleeves do not provide coverage over the entire leg as compression socks would, the risk of blood being backed up in the feet or ankles could cause Deep Vein Thrombosis (DVT). DVT is a very risky condition that can lead to other health complications, and it often affects the leg. We recommend not using compression sleeves for travel, as the risk of DVT is already high when you are sitting on a plane. We also suggest that you talk to your doctor about using compression sleeves. Finally, once you have decided to buy, stick with the name brands we suggest below. There are many cheap chinese-made compression sleeves on the market today, especially online, made by people who only want to make a buck and have not actually done any research or development on their products.